Short post today because I re-started the Orencia infusion today and I’m feeling a little low. Once again, I scoured my Pinterest boards for inspiration for today’s prompt. I used this scarf from the Nordstrom anniversary sale I wanted to buy. Unfortunately, I was too slow on the uptake and the scarf sold out! It’s a really pretty scarf that so happens to be in my favorite color! I had to deviate a little because my nails were too short to combine all four colors on the gradient. Regardless, I think it came out way cool. I hope you like it too! I created the gradient with a makeup sponge, Sephora by OPI Cover Me in Petals, Color Club Wham! Pow!, and China Glaze Sun Worshipper. I dotted with the same Julie G polish. 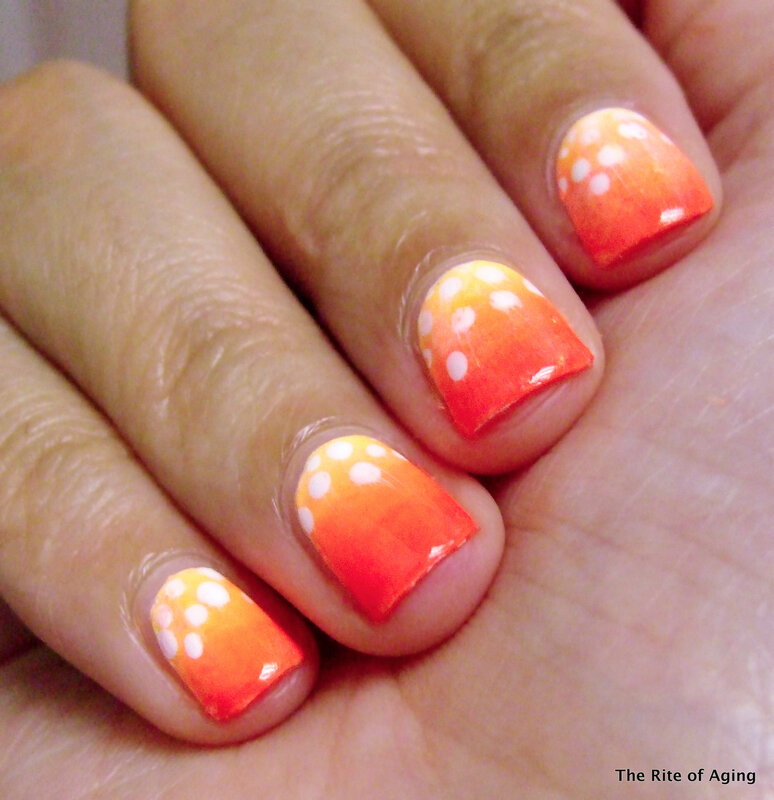 Check out the other manicures below!